Israa al-Ghomgham is reportedly the first Saudi woman to face the death penalty for her activism. 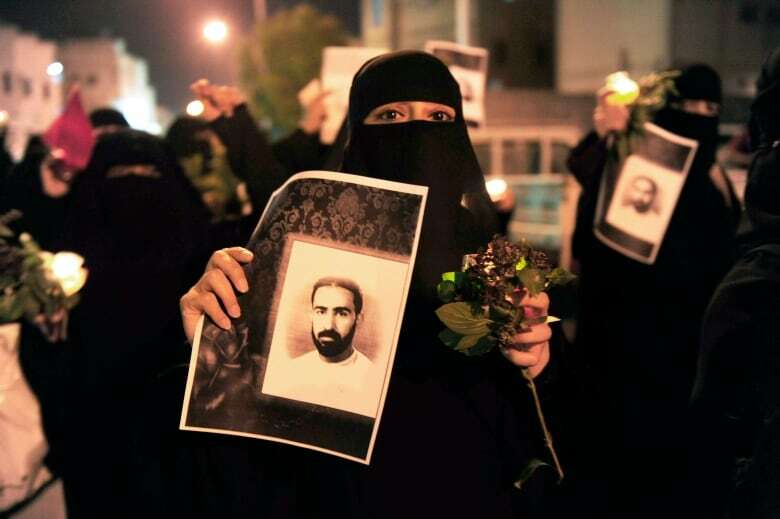 Saudi Arabia is trying to "make an example" out of Israa al-Ghomgham, the first woman in the country to face execution for her activism, says human rights advocate Zena Tahir. According to ALQST, a London-based Saudi rights group, Saudi Arabia's public prosecutor is seeking the death penalty against Al-Ghomgham and four other human rights activists who are currently on trial in a secretive terrorism court. Charges against her include incitement to protest and providing moral support to rioters. Tahir, a research associate for the European-Saudi Organization for Human Rights, spoke to As It Happens guest host Helen Mann about what these trials mean for the state of civil rights in the Kingdom. What was Israa al-Ghomgham arrested for? She was arrested in connection with her peaceful activism, which heightened around the time of the Arab Spring, including her participation in peaceful protest ... and sharing her peaceful opinions on social networks. The specific issues she is seeking reform for — what is the area that she's most concerned about? She was participating in the Arab Spring protests, in which she was calling for the defence for prisoners of conscience. She called for fair trials. She was advocating for the cases of children facing the death penalty — minors. What exactly is she being charged with? 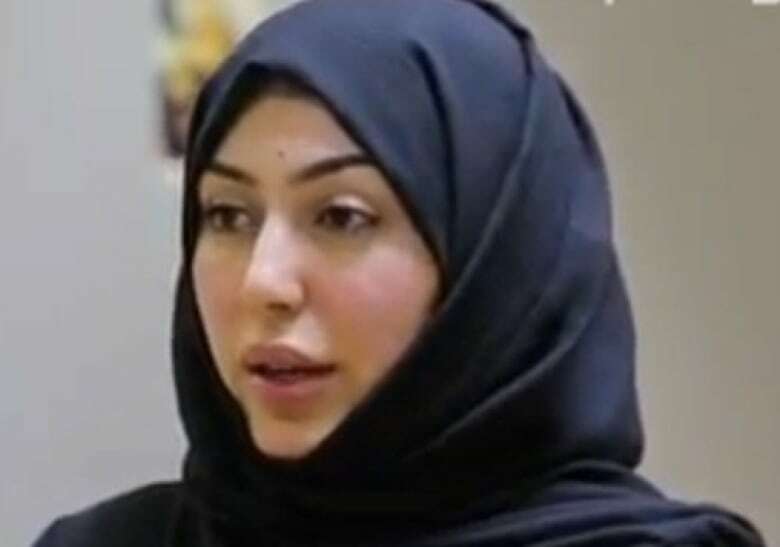 Despite her activism being peaceful in nature, she is being charged under the Saudi anti-terror law, and they've given her charges such as participating in protests, repeating anti-state slogans, designing graphics and pictures for demonstrations, having a YouTube channel where she shows excessive force being used by the Saudi authorities. These are the kinds of charges she's up against — but all of them are non-violent charges and definitely not within the scope of the death penalty. And yet the prosecutor is asking for the death penalty. If she were to be found guilty, what form of execution could she potentially face? A common form of execution within the Kingdom is beheading, although they can do it by firing squad as well. Is it common for prosecutors to ask for the death penalty when it comes to these particular types of charges? We've definitely seen use of a death penalty against protesters and activists in the past, for sure. Examples of that include Sheikh Nimr, who's already been executed. He was a social justice activist. He was kind of considered the figurehead of the protest movement, and they've already executed him in 2016. And we've also seen that with Ali Al-Nimr, who is also on death row. He was a young protester and he is at risk of imminent execution. But it's the first time that this has been called for a female activist. So this is a really new and worrying development in the Saudi death penalty execution file. Why do you think that Ms. al-Ghomgham​ is being singled out in this way? She was active during the Arab Spring. I think that the Saudi authorities want to make an example out of her. By doing this, it creates a chilling effect for other activists who may wish to continue in their activism. Do you think that there might be a factor here, though, that that she is a Shia activist as well? The Shia have generally been treated very unfairly in the Saudi courts, for sure. You know, there seems to be a heavy bias toward Shia activists being given the death penalty. I don't think it's only about a Shia-Sunni narrative, but it's definitely a part of it. So you say they're sending a message. Is it having an effect on other activists? Do you sense that there is some chill out there? Many of the existing activists that used to be very active, they've either been arrested or they have gone silent by themselves out of fear of reprisals. 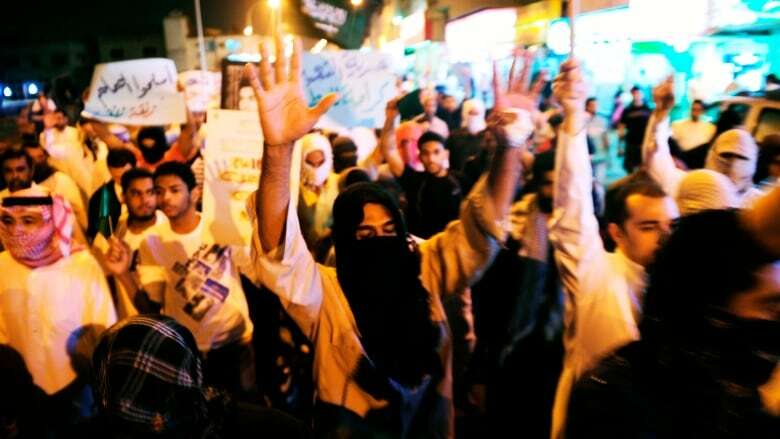 The chilling effect is very much having its desired effect on civil society within Saudi Arabia. Ms. al-Ghomgham is part of a mass trial with five other accused. What charges and what potential penalties are those activists facing? One of those is her husband. From what I understand, they are facing similar charges around the Arab Spring. Many of them, for example, they filmed the Arab Spring or they reported on the Arab Spring. As you know, Canada is in the midst of a dispute with Saudi Arabia over its arrest of women's rights activists. Do you think it's possible that Canada's public criticism is having any impact on how these activists are being treated? We would hope so. We would hope that international pressure would definitely make Saudi Arabia think twice before it, you know, proceeds with any kind of prosecution, knowing that the public eye and the international community is watching every step it takes with these activists and monitoring their cases. Are we prepared to pay the price of standing up to repressive regimes? And yet Saudi Arabia has been especially defiant. Is it possible that that Canada's public criticism is potentially making things worse? Obviously, we would hope not. I think many countries have been silent and used kind of quiet diplomacy with Saudi Arabia, I would say to a very limited success. I think it's time to open up the conversation on Saudi Arabia's human rights record and make make it a public conversation. So I think Canada did do the right thing. Written by Sheena Goodyear with files from The Associated Press. Produced by Donya Ziaee. Q&A has been edited for length and clarity.